When we were out walking today we stopped by at a supermarket close to where we live to buy some eggs. The thing I like the most about this little store is that from time to time they get quite fun things, it can be anything from cell phones to interior. When we got in to the store I found this cabinet that was just calling my name and saying “Please take me home! I’m made to take good care of your little babies”. It wasn’t like I had any choice to take it under my arm and carry it home. I only wish there were one more shelf so there would be more space, but at least I could get two lines of polishes on every shelf. There are still some more space next to this cabinet where I can put the stands I bought in Thailand. Think I might use them for my most used shades at the moment. 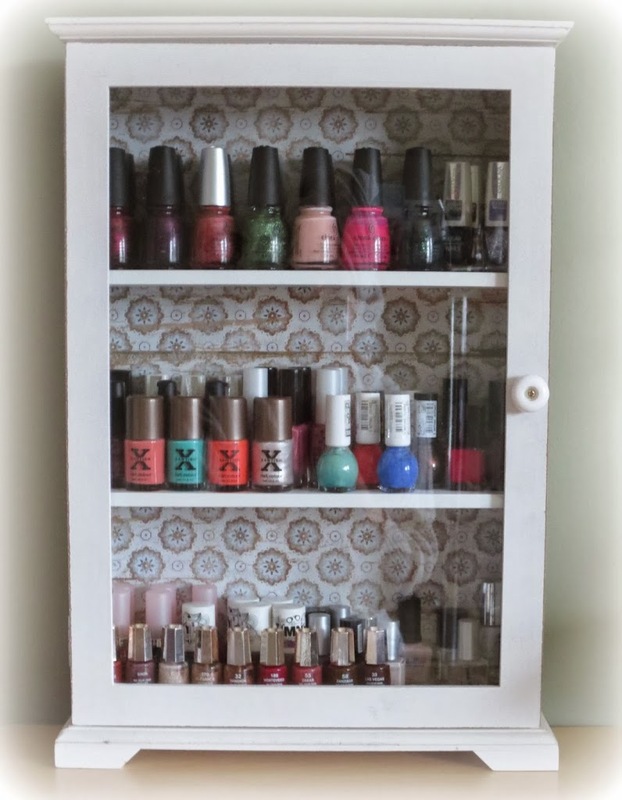 This entry was posted in Beauty and tagged Nails, Storage by Anna S. Bookmark the permalink. I could really use something like this for my polishes! It’s so cute! I think this is too cute! I am in love!